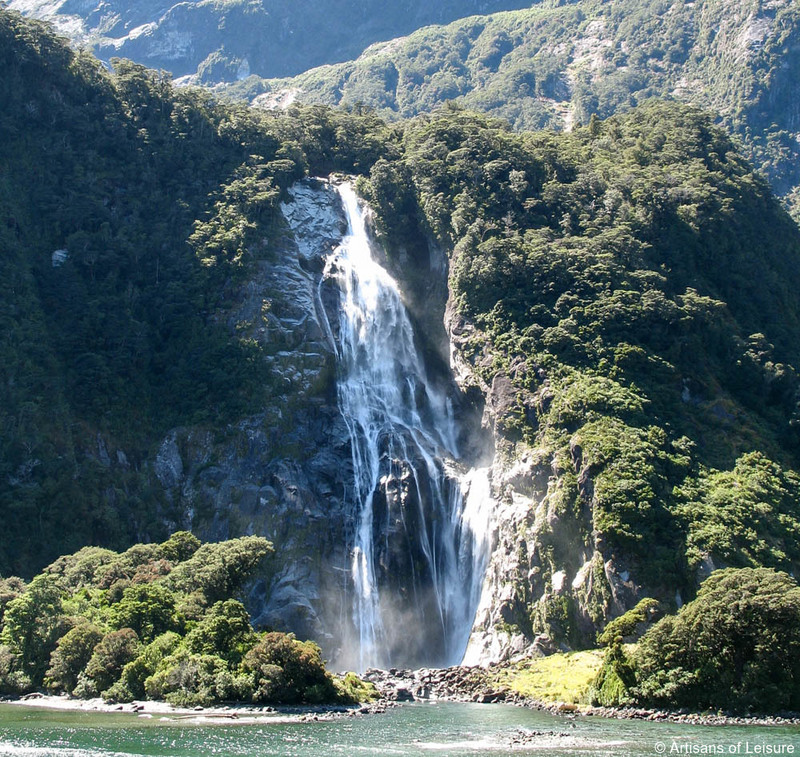 Perhaps the most famous sight in New Zealand, Milford Sound is a breathtakingly beautiful fjord on the South Island. Steep mountains and dense rainforests border the glacier-carved waterway, which cuts through the Southern Alps and connects to the Tasman Sea. 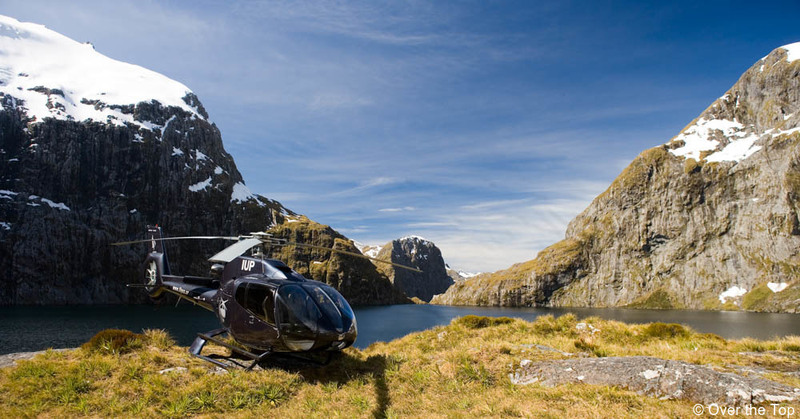 A private helicopter flight is the ideal way to experience the majesty of Milford Sound and the surrounding Fiordland National Park. Flying over the Southern Alps en route to Milford Sound, it’s easy to see why movies such as The Lord of the Rings series have been filmed here—the otherworldly landscape is the stuff of fantasy. Tiny ponds dot alpine grasslands, ribbon-like waterfalls stream down nearly vertical slopes, and glaciers cloak the tops of mountains in white. 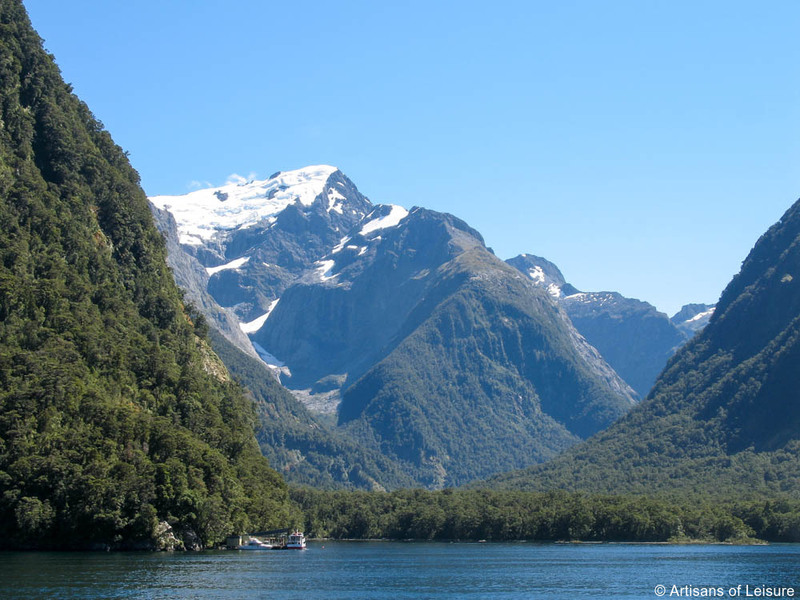 The impressive views continue once you enter Milford Sound. Mitre Peak is a dramatic, jagged landmark that rises more than a mile from the water to the summit (5,551 ft/1,692 m). Waterfalls such as Lady Bowen Falls (531 ft/162 m) and Stirling Falls (495 ft/151 m) tumble down the mountainsides into the sound below. 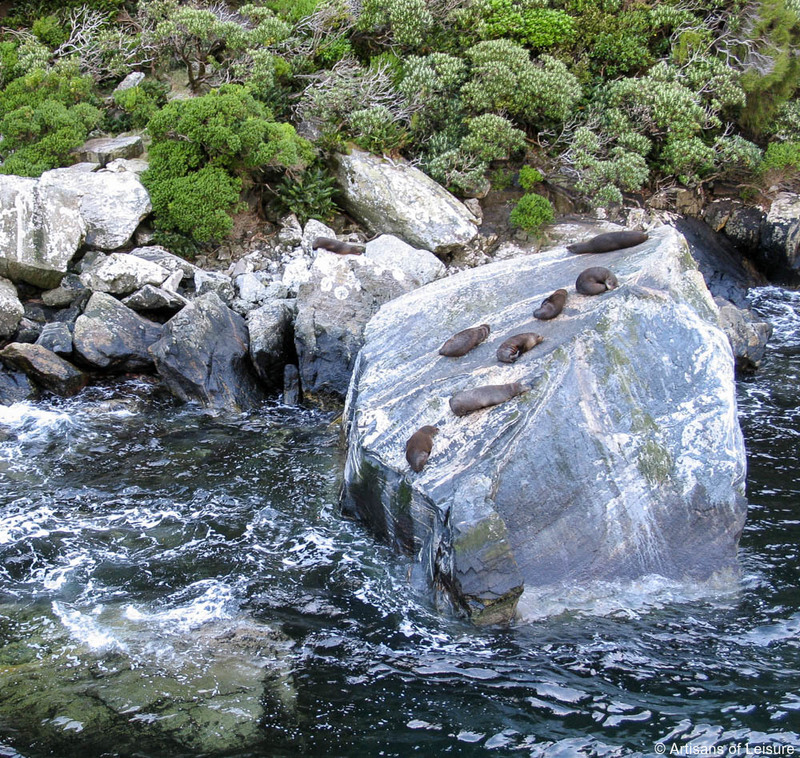 With luck, travelers might see resident dolphins frolicking in the fjord or fur seals congregating on rocks at the edge of the Tasman Sea. After passing through Milford Sound, the helicopter flies back over the Southern Alps, landing on a glacier high in the mountains to allow travelers the chance to breathe in the fresh air and take in the panoramic, bird’s-eye views. 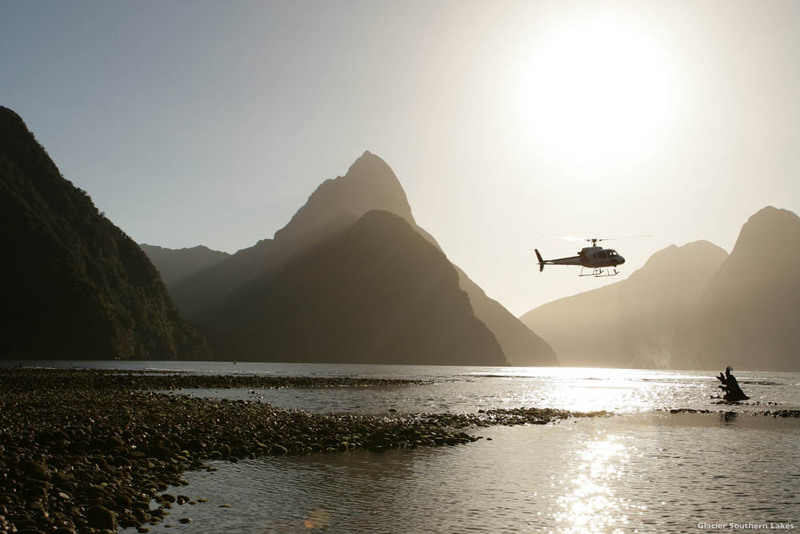 A private helicopter excursion to Milford Sound is a highlight of a trip to New Zealand and is included on all Artisans of Leisure private tours of New Zealand. 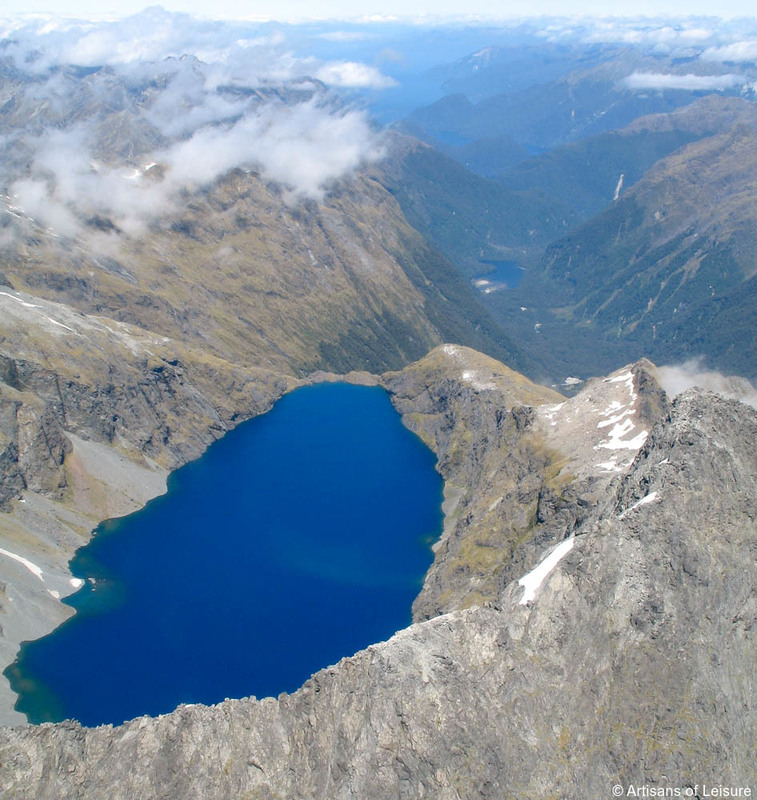 We can also arrange airplane flights and boat cruises through Milford Sound.